As the spring is coming, we love to have the delicious and cool lemonade that can make us provide relief from the scorching heat of the sun. This is something that can make our life much better and comfortable. 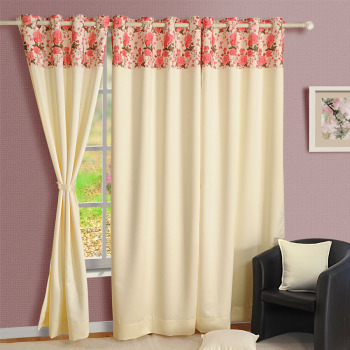 These curtains which we have designed especially will definitely spread the cooling sensations around the house and will make your home look beautiful. Does the vast horizon of deep oceans fascinate you? 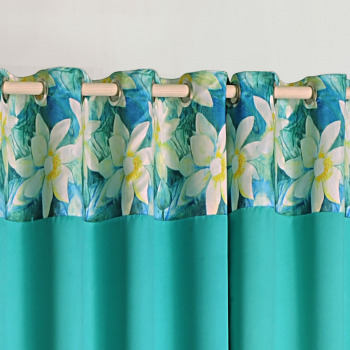 If your answer is yes, then these luscious looking drapes will surely make your day. Designed specially to fiddle with your instincts they are made by taking inspiration from beguiling depth of the sea. 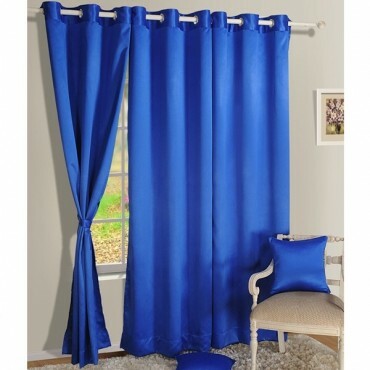 Buy blue wonder blackout curtains from our website swayamindia.com and achieve the desirable look in a trice. Indulge in our sumptuous drapes all through this season. Uplift your spirits by splurging on the beautiful yuletide carol. 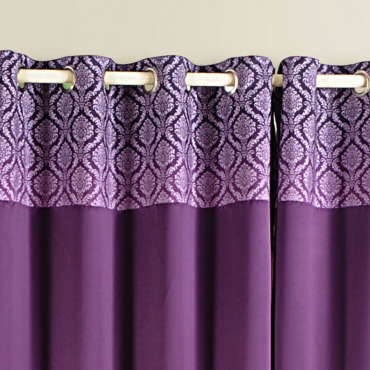 Designed to heal agitated mind and soul, these luscious looking curtains will raise the sensuality in your bedroom. 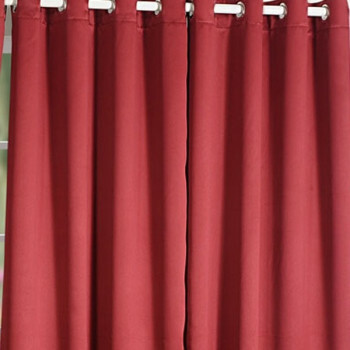 Buy burgundy suave blackout curtains from our website swayamindia.com and see your room sizzle with fire. 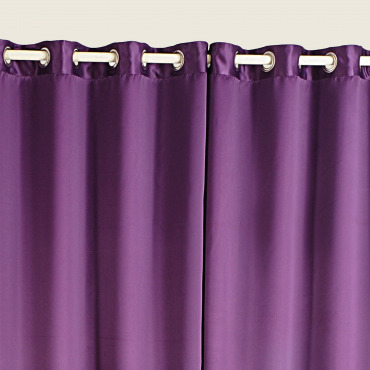 Feel the warmth and soothing atmosphere as you relax behind these amazing blackout curtains. 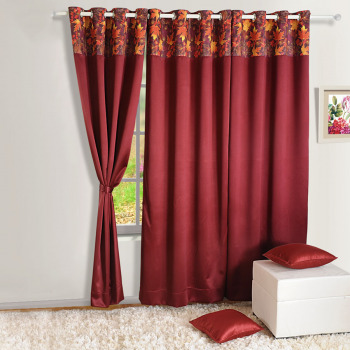 See how these blackout curtains provide you with the requisite comfort you need during the daytime. Give your guests a relaxed experience with a shady and calm environment around, with a soothing theme. 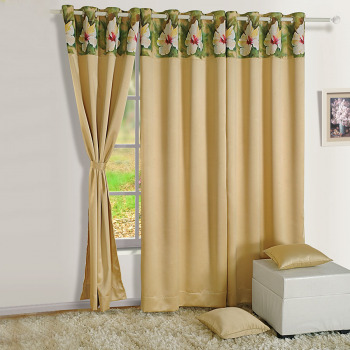 Begin your day with the elegance of these wonderful and uplifting curtains which makes your surrounding space feel more relaxed under their shadow. 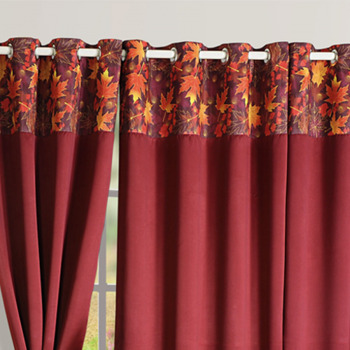 Let your windows bring out their actual beauty with the help of these curtains and upgrade your home décor. Experience a calm and cool atmosphere behind the curtains and feel the magnificence around them. There is every type of people in this world. Some wants to show their style and love to have the vibrant and royal looking accessories and home furnishings. And some are simplicity loving person, they wants something that looks very simple and sober yet classy. They have their own different taste. They prefer products which has a very calm and unique shade. 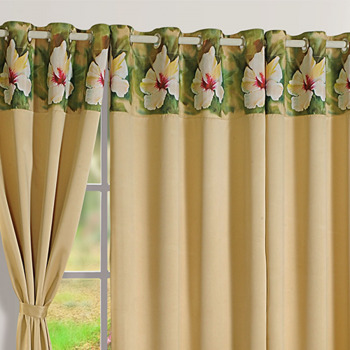 Drape your home’s most neglected part with these beautiful curtains and see the makeover of your way of living. Your living room will give you a very pleasing look and set up the cool ambiance inside your house. 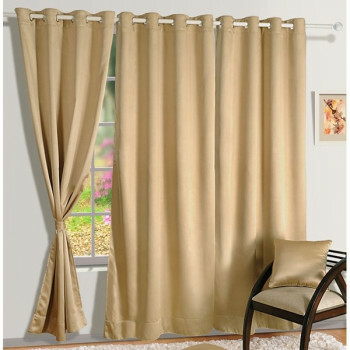 Buy brown gold blackout curtains from our online shopping portal swayamindia.com and be away from the scorching heat of the sun. 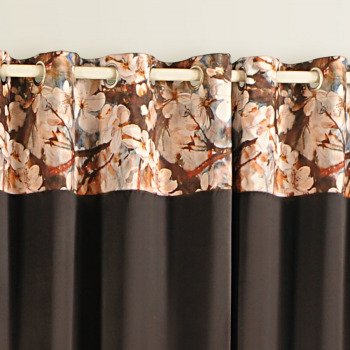 Savor the sweetest taste of chocolate with these lush curtains that are made to tickle the taste buds of cocoa lovers. For those who love its yummy taste can now simply make them a part of their integral space. 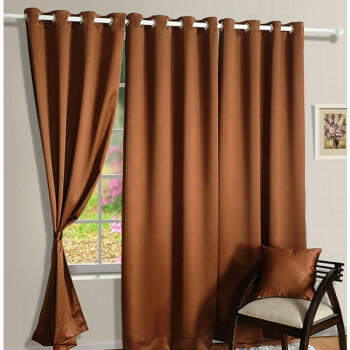 Buy rich chocolate blackout curtains from our website swayamindia.com and let your heart dive into the rich taste of delectable shade. 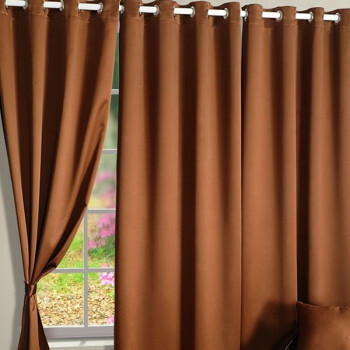 Boost the entire energy of your room as this earthy brownish tone touches the windows and doors of your room. 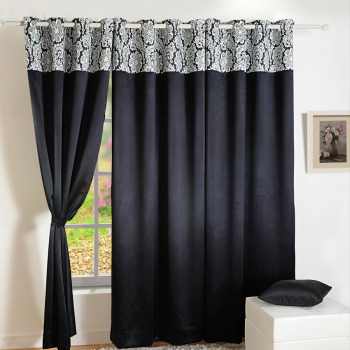 Create a sensuous environment as you adorn these ultra glamorous blackout curtains tinted with elegance and sophistication. 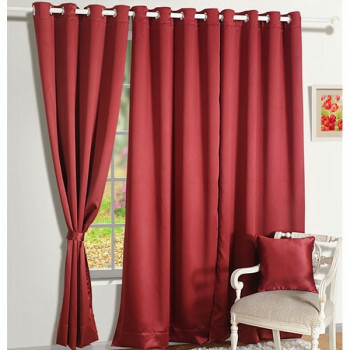 Buy garnet maroon blackout curtains from our online website Swayamindia.com and encounter the new age 24 × 7 online shopping experience. Give your room a serene look of purity with a slight touch of warm richness, as you drape them and brighten the mood of your room. 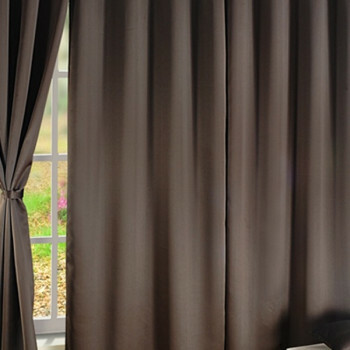 Like the fresh aroma of baked coffee beans grounded to make coffee, revive your senses with the latte coffee touch in these blackout curtains. With a clover smell and taste like a blueberry pie, this royal drape is here to explore the sky that God holds close to him. The visuals of rippling waves or the propane flames is all you can remember when you concentrate at this deep blue drapery. 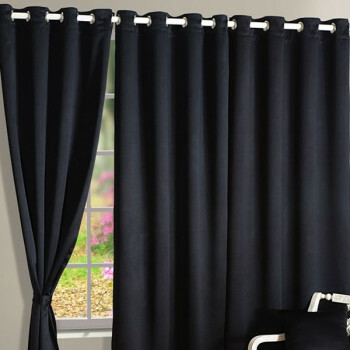 Lend an air of mystery to your room setting as you cover your windows and doors with these blackout curtains and cover everything keeping light out. Create a perfect relaxing environment as you shut the sun rays beaming right through the window. It does not matter if your home is made according to the old times or of new design, the home furnishing in them is what that matters the most. The furnishings should be according to the modern trends and so beautiful that your home looks like as it is a palace. 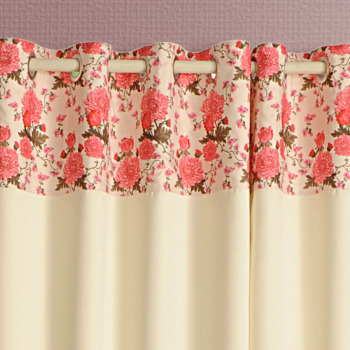 Such is the look of this curtain whose every feature has a royal touch in them. Luscious and so alive, green is the ultimate rejuvenating, soothing and serene shade of the color platter. Its charm never expires, instead the essence of nature it has inspires us. Effortlessly alluring, its beauty can reignite your soul without your consent. So captivating and comforting, you are going to skip a heart beat due to its impeccable magnetism. 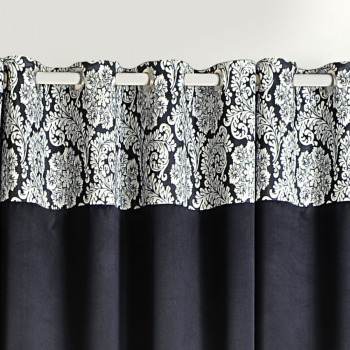 Give in to your senses with these sensuous looking black out curtains. Your interiors will reek of the delicious smell of chocolate. Give your windows a treatment that not just you but your family will also love to look at. 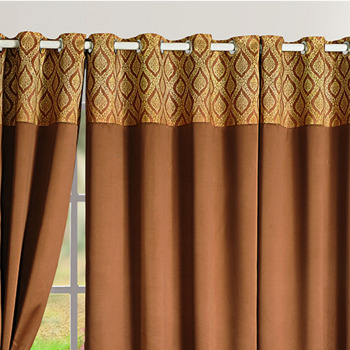 Buy dark chocolate blackout curtains from our websiteswayamindia.com and cave in to the delectable aroma of dark cocoa. Seems like beaming sunrays have come all the way to illuminate your setting, this curtain is all set to evoke the fierce glow in your space. Your thoughts will stick to those scented daffodils and daisies flowing in the widespread meadow. Invite this gleaming shade to brighten up your décor along with your smile with its impactful lustrous appeal. 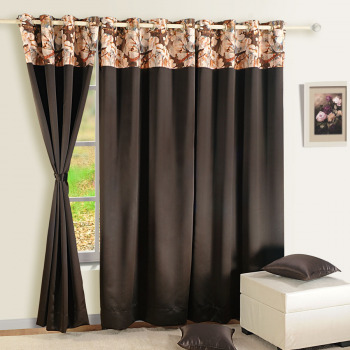 Grace the most neglected part of your home that is your windows and doors with these amazing hazel brown blackout curtains and welcome an elegant lifestyle. Surrender to the magic of Mother Nature and feel grounded in the warmth and purity of the natural color. Indulge in the flavor of the lush smooth, shiny hazel nut tone. If you have seen the real pearl which comes out of the sea, their charm and value is really incredible. There is no match of their charm and the beauty. They give you a very rich look and a great value to your personality. Just like that, the curtains which we have especially designed for your homes will give an elegant touch to your home décor. 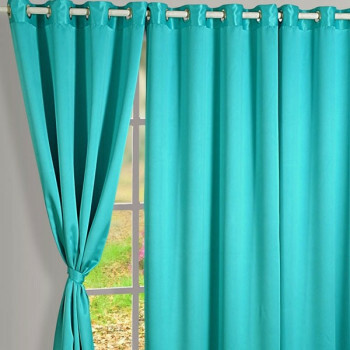 Make a statement with our range of blackout curtains in bright solid colors and feel the luxurious smooth texture of these curtains. Perk up our room settings and reflect your flamboyant personality. 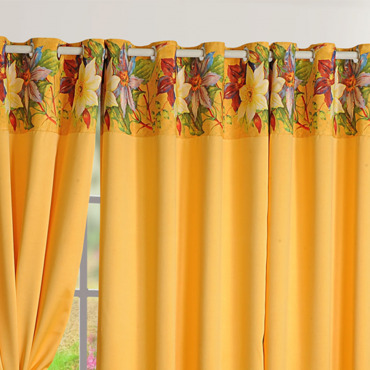 These curtains are suitable for all age groups. They are ideal for babies too, as they provide them with a sound sleep minus the chaos. 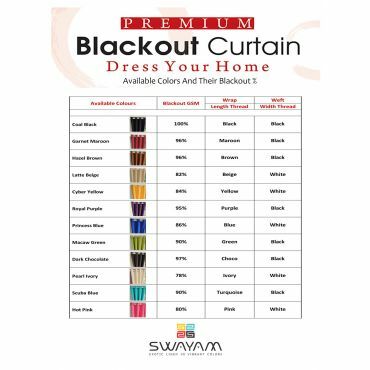 Buy blackout curtains online through our online portal Swayam and become the talk of the town and start a new trend. We provide free shipping facilities on purchase of Rs 500/ or above anywhere in India. 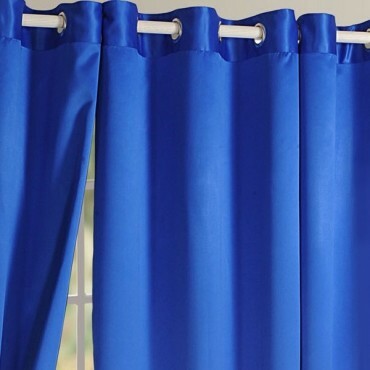 These blackout curtains are adjustable to fit your requirement. They are 100% color fast which makes them fade resistant even on several washes. 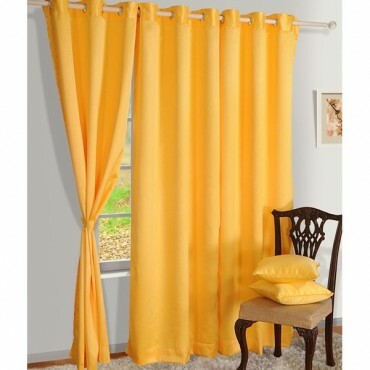 Buy blackout curtains online and drape your windows and doors while coordinating them with your beddings and cushions. 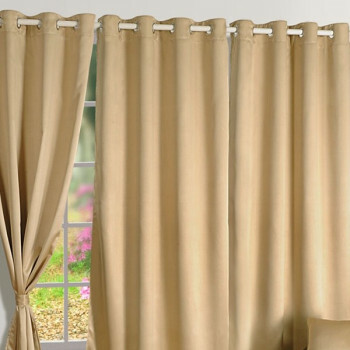 These curtains are crafted keeping in mind varied sizes of windows and doors, hence a 6” extra width is provided to suit your requirement. 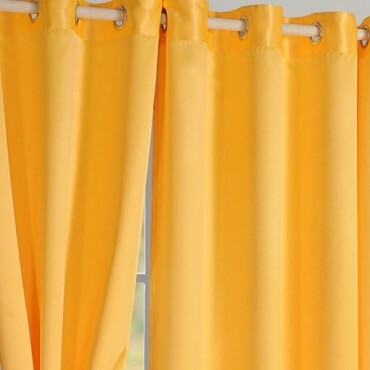 These blackout curtains are pre tested for color bleed. It has a high thread count. The maintenance is very easy; all it needs is a cold wash. Bleaching is not required. The main striking feature of these blackout is that they are 100% light resistant, reversible and provides mild insulation from noise. 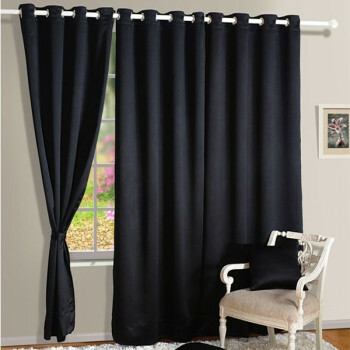 These blackout curtains are highly preferred by people who have odd working hours and require a sound sleep in day time. We have a 30 days easy return policy in case the curtains are defaulted or not up to your requirement. 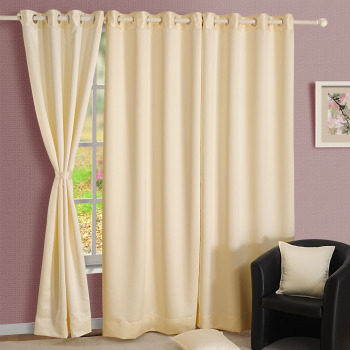 These curtains have eyelets which makes it easier for you to drape them. 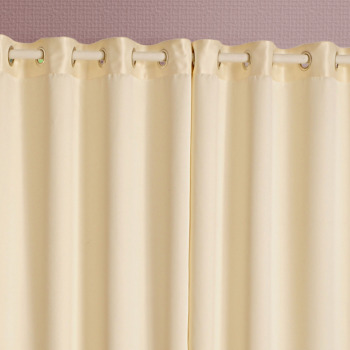 The curtains smoothly glide over the rod and can be cornered at one end, tied neatly with loop tie ups. 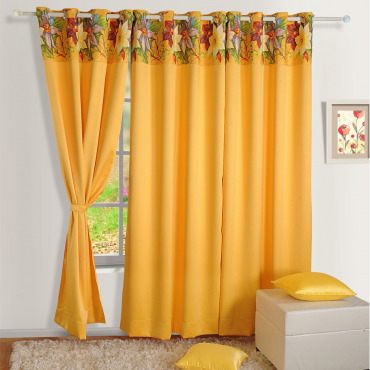 Window curtains online from Swayam and space illuminate with the bright solid colors and lighten the entire mood of your room. 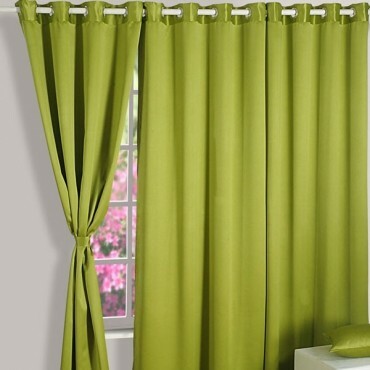 These curtains have extra fold and adjustable length as compared to those available in market. 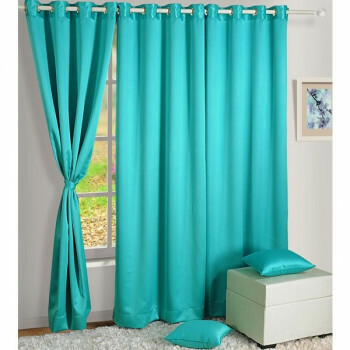 You can get your curtains customized as per your requirement while placing an order and can make payments either online or cash on delivery. We provide secured gateways for safe online transaction. 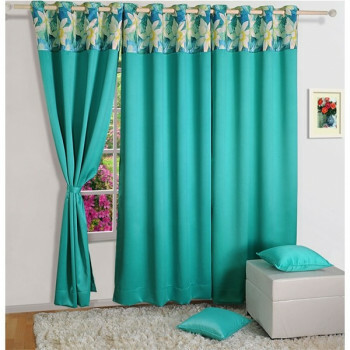 Buy blackout curtains online from our portal and browse through our other products ranging from beddings to kitchen ware and coordinate the entire décor of your home. Create an environment of tranquility and make way to your sacred sanctity as you indulge in a sound sleep. These blackout curtains are also ideal for your office settings adding a splash of solid colors to jazz up the boredom.